How to Treat Psoriasis/Eczema in Children Naturally? It is always worrying and even hurt breaking for parents to see their child struggle with itching or discomfort as a result of psoriasis, eczema or seborrhoea. Generally, doctors try to control these skin conditions in children with topical treatments. Topical treatments are creams, lotions, and ointments applied directly to the skin. On the one hand, the therapeutic needs are not differentiated in children and adults. On the other hand, topical treatments based on corticosteroids can cause a number of adverse reactions, especially in children. PsoEasy Children Psoriasis & Eczema Treatment Kit, is an effective natural alternative to cortisone/steroid based treatments for children. The Children Natural Treatment Kit is a complete treatment for children Psoriasis & Eczema. With this kit you save $17.90 + Free Shipping compared to buying all the products separately. If your child has been diagnosed with childhood psoriasis, it’s important to treat it right away. Skin symptoms can be uncomfortable and possibly painful. They also may cause your child to feel self-conscious about their appearance and develop low self-esteem and even depression as a result. Eczema, especially Atopic Dermatitis, often appears in the first six months to 5 years of a child’s life. It is strongly advised by dermatologists to hydrate and nourish the skin areas affected by psoriasis or eczema in children on a daily basis. 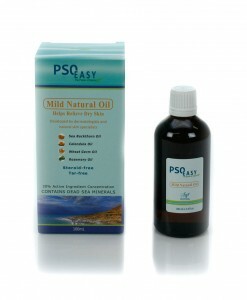 PsoEasy Mild Natural Oil – is specially formulated to rebalance skin that exhibits inflammation caused by symptoms such as dryness, itching, redness and cracking. Using this natural oil relieve dry skin and improve skin hydration and softness. 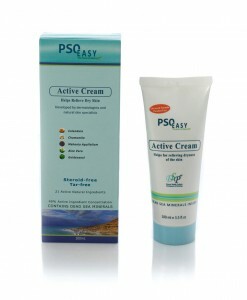 PsoEasy Active Cream – designed to treat dry, red, cracked skin caused by skin conditions such as psoriasis in children or eczema. 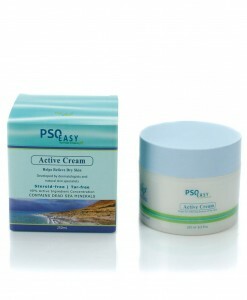 This cream contains over 20 natural ingredients, including plant extracts, essential oils and Dead Sea minerals. This product extreme effectiveness consists of its high concentration of active ingredients (about 40% or 40,000 mg / 100 g). Meaning more active particles are reaching damaged skin cells effectively reducing the symptoms of psoriasis and eczema in children and babies. Why choose our PsoEasy Children Treatment Kit?